I thought it's a high time I posted recipes I tried from other blogs before everyone start thinking I always cook and post my recipes;) These days I have been busy trying and testing recipes from other blogs and trust me I enjoyed it a lot. 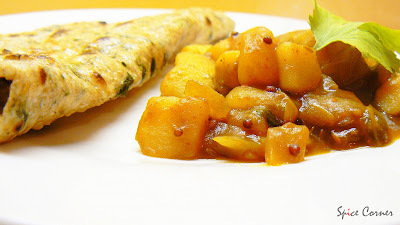 So here are three dishes I cooked from my blog buddies Asha of Foodie’s Hope and Manjula of Dalitoy. I am also posting “some” pictures I clicked during my India trip. First is the Onion Pakodas which I made using Asha’s recipe. They were crisp, tasty and everything Asha said. We both enjoyed it a lot. Thank you Ashakka for this recipe. 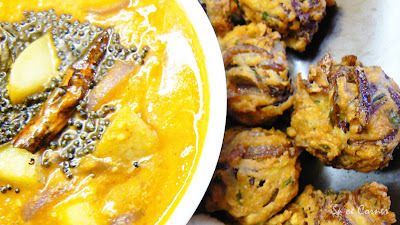 Here is another recipe of Onion Pakoda’s which I have posted earlier in my blog. 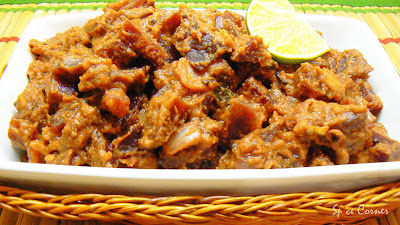 Second dish is also from Asha’s blog. It’s her grandma’s recipe of Beetroot Palya and Grandma's recipe can never go wrong:) Beetroot is our favourite veggie(apart from another dozens of other veggies;). This recipe is a sure keeper for us as we enjoyed it simple rice and yogurt. Third recipe of Potato Saung is from Manjula’s blog. Boy!!! If you like tangy and spicy potato curry with very less ingredients and even very little preparation time then I highly recommend this for you. It was so delicious that we cooked it again in a same week. Thank you Manjula for this wonderful recipe. Today I am posting flowers and fruits and vegetable pictures from my Amma and Atte’s much loved and nurtured garden. You will understand how much they love gardening once you see these snaps. 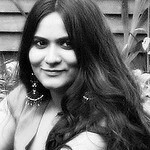 My good friend Trupti’s blog ”The Spice Who Loved Me” is nominated for best Indian food blog by IndiBloggies with other five beautiful blogs. My good wishes to Trupti and other bloggers who have been nominated. So friends what are you waiting for? Go and start voting for your favourite blog here at Indibloggies Poll. WOW!! You have been very busy I see!! Beet palya and Pakoda both look fabulous,it's not always easy just to follow somebody recipes and get a good result.You have done a great job.I always loved Potato soung and I will try Manjula's version too. Thanks for the slide.Looking at the photos of flowers reminded me of home.I miss those colors.Here we maintain the "Lawn" like it's a religion or something! :D We do get some Tulips,Blue bells and that's it. Have a great day tomorrow.I just baked a cake,nothing much else. Onion pakoras, beet root palya and song looks perfect. I'm yet to try out Asha's onion pakoras..its indeed a special recipe. Hey Thanks for reviewing my recipe. I guess I forgot to mention you can add green peas or cauliflowers into it for a new twist. It so nice of trying from our friend's blog,it is like a pat for them isn't it? I keep even trying like these,,,today i prepared soumya's methi paratha and seema's bagara baingan for dinner...let me post some time later. Nice food you tried from other blogs. Wow!!! you really been busy..each and every dish looks delicious... have to try them all. Beautiful slide show too!!! Have wonderful V day Supriya. The foods looks yummy and the slide show, awesome. This blog I love coming back to, everyday!!Cheers! !Happy Valentine's Day!! oh do try asha's palya and pakodas. they were really tasty. yes usha:) i feel its a big compliment for me when someone tries my recipe and says they enjoyed it. it was good experience trying and testing recipes from buddies blog:) i enjoyed a lot. oh somehow i missed ur comment. thanks for ur lovely words. i am glad u like to visit my blog. pakodas were delicious. i added pinch of cooking soda to it. I just love the look and shape of the pakodas, you know I showed them to K, and he was very impressed! The flowers are beautiful.....! You are a sweetheart!! Thanks so much for mentioning the nominations! then who is gonna make pakodas, you or K;)? Hi Supriya , Its fun to try out dishes from other blogs:)Even I enjoyed making ur fermentless dosa, and kashi halwa.We learn so much from each other:)All the three dishs u tried are looking tempting. Must try them. I came here bloghopping and ur colourful spread caught my eye! Beautiful slide show. We do cook a lot from our fellow bloggers blogs in recent times..It is fun and we enjoy cooking new recipes ..All the recipes u have tried looks good . Hey Sups,hmm..cooking from other blogs is fun,isn;t it?You learn so much..I am going to post about my experiences using others'recipes very soon!Those flowers are beautiful.I love the ixora.they were abundant where I grew up. Lovely pictures from the garden. And yummy recipes too. Sups, Athe garden bari chenda kanthanne and love your header. Volle grand maduve card na hange kanthu. Loved it. Happy V'Day to you both from both of us gal. Hi Supriya, I have uploaded photos with my cameraphone!!!. Photos of Coffee's chimichanga I tried , garlic potato and don't miss the home made wine photo. The fabric placed beneath the glass is the semi chiffon scarf I painted edge to edge on a white chiffon fabric. holy lord in heaven...do I LOVE LOVE LOVE that new look! awesome job Supriya! looks soooo good, love that profile picture! Sia..the new template looks great..btw how did you come up with that head banner..looks great.. I love flowers and your flower slide is just beautiful. such a wonderful recipes..the pictures are btw..
thanks for recommending he quick patato saung too, I am sure it will come to rescue me on busy evenings... :)) . somehow my earlier coment on the past post didnt appeared to you, i wonder why... well ,lwt me say again ,tat 3 in 1 entry is fabulous. and i just love it, pictures are awesome too. Great dishes to try from bloggers recipes..